I want to sit by the window when it rains and read books I’ll never be tested on. I want to paint because I want to, not because I’ve got something to prove. I want to listen to my body, fall asleep when the moon is high and wake up slowly, with no place to rush off to. I want not to be governed by money or clocks or any of the artificial restraints that humanity imposes on itself. 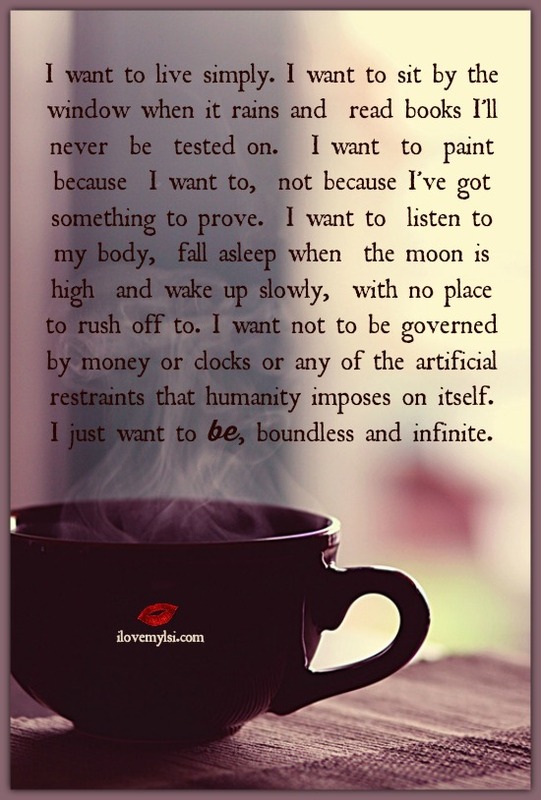 I just want to be, boundless and infinite.